Since Xbox One launched, one of the most frequent requests from fans is to add more storage to their consoles and today we’re delivering. 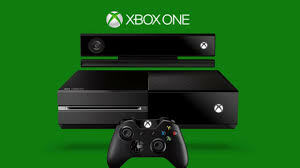 We’ve just unveiled the new Xbox One 1TB console, which comes with a newly designed Xbox One Wireless Controller that includes a 3.5mm stereo headset jack and a ton of other great features that fans are going to love. Xbox One 1TB consoles will begin shipping to select retails on June 16 for $399 U.S. ERP. And starting today, the $349 USD price on all standard Xbox One 500GB consoles will be permanent in the United States and select regions around the world. Plus more accessories on their way, including the Xbox Wireless Adapter for Windows coming this fall, so be sure to visit Xbox Wire for all the details.